About 100 Days With Jesus 100 Days With Jesus, one chapter per page, will encourage you if you are thinking about developing your own ministry in these last days of time. This book considers the events that took place in the gospels, but from Christ's point of view. That is, the book provides a bird’s eye view of Christ's life on earth, without getting into too much theology. 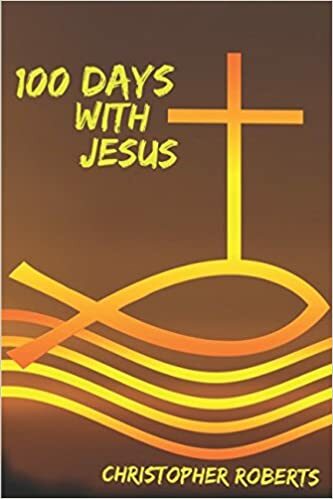 In other words, 100 Days With Jesus provides a simplified synopsis of events that took place in the life of Christ throughout the four gospels. 100 Days With Jesus does not follow a precise chronology of Christ's life on earth, simply because events in the four gospels vary from book to book. However, it does attempt to follow a reasonable timeline of Christ's life, from his birth to his death and resurrection. This book particularly provides you with insights about how Jesus conducted his ministry when he was on earth. These insights will provide you with examples about how you might go about serving God through your own ministry. It does not matter whether you have an established ministry, or whether you are just considering serving God in some capacity, this book will provide you with the encouragement that you need to serve the Lord. If you want to know what Christ's thinking was behind why he did what he did during his time on earth, then this book is just for you.